Alright, so I love going to cafes more than most people understand. I like the vibe, I love the food and beverages but most of all I love people watching. I sit back, pick up a pen and paper and sketch or write about those around me. I like to figure out their story and by no means do I mean their real life story. We are talking about the one I assign to them. The other evening, when the weather was absolutely the best we have had this year, I felt inspired to go out after work to the cafe and draw. While there I encountered a vast amount of people considering it was a Wednesday but they were all so different. 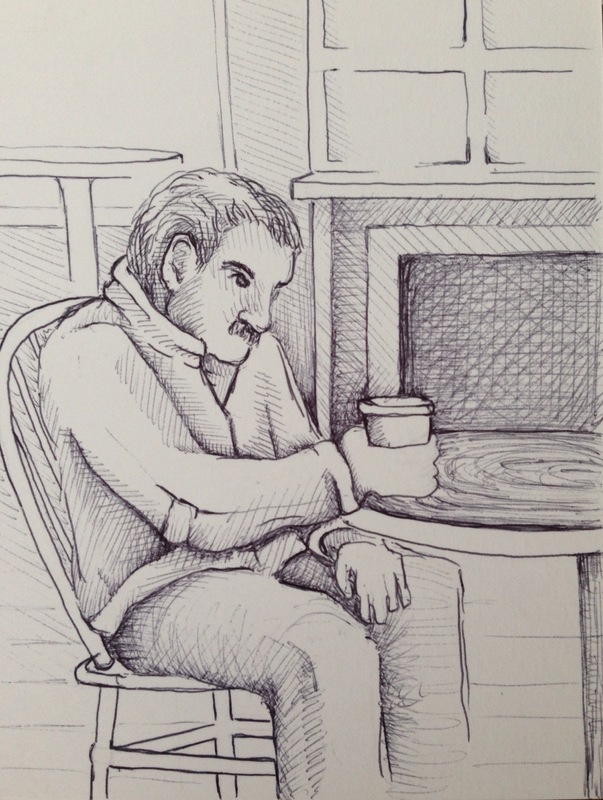 I became fixated on this elderly gent who seemed so lonely. He was there far longer than I was and for the majority of the time he only had a coffee in hand. He stared blankly at a pastry case but not as if longing for its contents almost as if caught up in a memory or thought. If makes you wonder what a person is thinking sometimes. Anyway, as I have mentioned before people are not my strength which is in part why I am forcing this exercise more often. Enjoy and see you next time!